The ducks are beginning to line up for yet another global debt crisis. US mortgage rates are hinting at another crash, student debt crises loom in both the US and UK, consumer and corporate debt is at record levels and global debt to GDP ratio is higher than it was during the financial crisis. When you look at the figures you realise there is an air of inevitability of what is around the corner. If the last week has taught us anything, it is that markets are unprepared for the fallout that is destined to come after a decade of easy monetary policies. 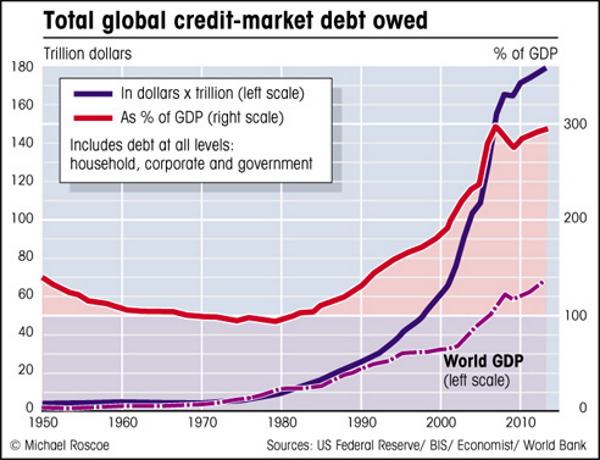 Global debt is more than three times the size of the global economy, the highest it has ever been. This is primarily made up of three groups: non financial corporates, governments and households. Each similarly indebted as one another. Debt is something that has sadly run the world for a very long time, often without problems. But when that debt becomes excessive it is unmanageable. The terms change and repayments can no longer be met. This sends financial markets into a spiral. The house of cards is collapsing and suddenly it is revealed that life isn�t so hunky-day after all. Rates are set to rise and as they do they will spark more financial shocks, as we have seen this week. 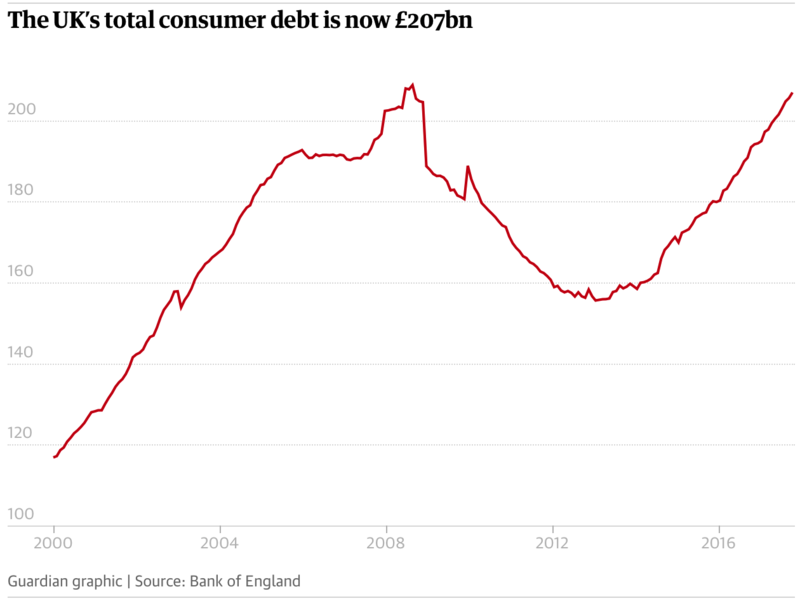 Total UK consumer debt hit �207 bn, in 2017 according to Standard & Poor�s. Levels such as these have not been seen since the 1980s. Now a quarter of the country�s poorest households are set to fall further into debt at a time when personal loans, credit cards etc are at pre-2008 levels. The debt is set to get worse thanks to rising inflation, rising rates, wage stagnation, pension pot failings and just that simple problem of being stuck in a debt-laden hole. The last financial crisis is primarily to blame for this mess that will no doubt contribute to the next crisis. Low or zero-rate loans, credit cards and finance packages were difficult to turn down by individuals who were struggling in the face of rising inflation and lack of wage growth. They were also repeatedly told by the government and media that all was going really well, they had little reason to believe their finances wouldn�t turn around soon. But they won�t turnaround. Loan terms are set to get worse and few have enough set aside to help them manage increased payments with the savings ratio now below 7%, the lowest level since 2006. Even if wages were to rise, this isn�t necessarily a good thing for the overall economy. The panic last week seen across the equities markets was thanks to an increase in wages. Markets saw the data which causes everyone to realise there�s the prospect of inflation rising for which interest rates will be introduced to counter it. In turn, bond yields rise thus making equities less attractive while raising general borrowing costs. Not good for Joe Bloggs who just wanted a cheap car loan and a credit card to manage life with his family of four. 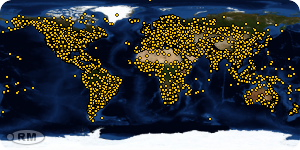 The subprime mortgage crisis was one of the leading triggers of the last global debt crisis. It followed the housing boom (and subsequent bust) in the US between 2007 and 2009. This marks the only time rates have risen this much without having been at long term lows in the past year. 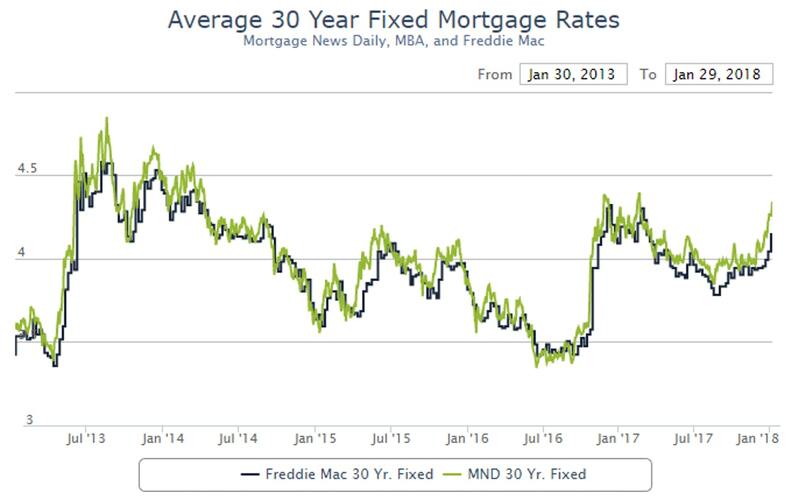 For example, late 2010, mid-2013, mid-2015, and late 2016 all saw sharper increases in rates overall, but each of those moves happened only 1-3 months after a long term rate low�So far this month, MBS have stunningly dropped over 200 bps, which easily translates into a .5% or more increase in rates. I�ve been shouting �lock early� for quite a while, and this is precisely why, This isn�t a drill, or a momentary rate upturn. 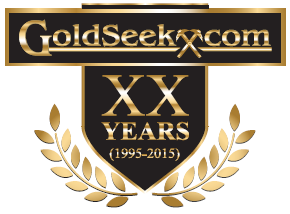 It�s likely the end of a decade+ long bull bond market. As rates are set to rise further, we will likely see this impact the housing market further. Rising rates make home buying and building less affordable. One indicator of where this will end up is by looking at the monthly supply of homes. It is a sad reflection on society when it celebrates it current successes which exist purely because of debt burdens left to future generations. Aside from pensioners today, there is no generation that will not face significant debt burdens in their lives. This ranges from increased taxes due to increased government debt through to university education that comes at an unmanageable cost. UK and US student loans will be one of the major catalysts of the next global debt crisis. In the US graduates owe approximately $1.4 trillion in student loans, whilst in the UK it is �100 billion. This may seem as though the UK has little to worry about but in England the average graduate leaves education with over �32,000 in debt, in contrast the average US graduate was $34,000 (�27,000). UK student debt is expected to double in the next six years, it is now the fastest growing type of borrowing and outstrips credit card debt which is commanding far more attention from the government. The rate of default across the pond is high, the Brookings Institute estimate that 2 out of every 5 student borrowers will default in the next five years. In the UK there�s a risk they will never be paid off as it is now widely accepted that the majority of graduates will never pay off their student debt before it is cancelled 30 years after graduation. 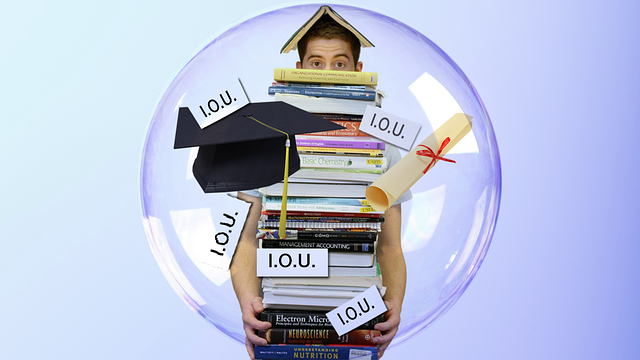 The higher education bubble (one-sixth of the U.S. economy) will likely burst with the force of all previous catastrophes combined�a shock wave so sudden, so large, that it gathers the full force of the savings and loan, insurance, energy, tech, and mortgage crashes, creating a blockbuster-level perfect storm. One of the reasons the Fed increased rates in 2017 was because everyone was talking about how well the economy was doing. From President Trump to the talking heads on Bloomberg to the man on the street, everyone was buzzing with how well it was doing. No one was acknowledging that it was coming from an unsustainable bubble. The Fed had little else to do but to raise rates, it helped to keep up the view that the US and global economy were booming. Sadly, it is all a mirage. Since Friday 2nd February it has begun to disappear. We�re no longer suffering from heatwave, markets are beginning to see what�s on the other side of this seemingly bottomless waterhole � financial armageddon. Last year there was one asset and one group of investors who saw through the mirage nice and early. This was in the gold space. Gold that is held in a segregated, allocated portfolio is a key way to protect your savings from counter-party risk in the financial system. Gold�s performance in 2017, along with low gold liquidations, increased demand for gold coins and bars and central bank purchases suggests that gold buyers identified early on that this really is all a mirage.